RingCentral For Sugar® SugarCRM, Inc.
Bring the convenience and flexibility of RingCentral's cloud-based phone system directly into your CRM workflow, enhancing productivity while providing valuable new tools for your team. 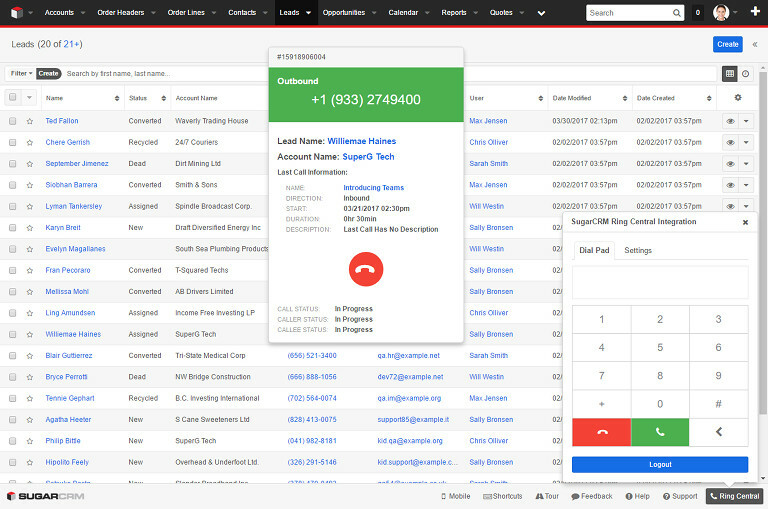 Click-to-dial functionality makes it simple to instantly call any number in your Sugar® database. 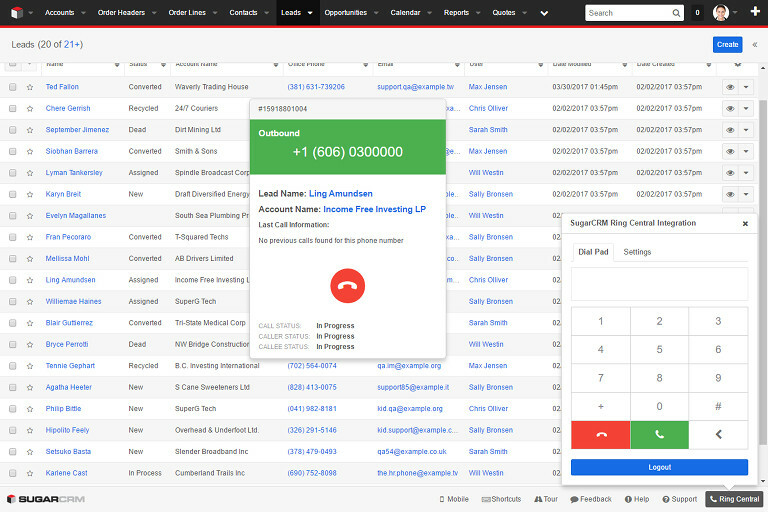 Incoming calls are automatically matched with existing records, displaying relevant details instantly. This cloud-based application requires no additional software. All you need is an active internet connection and a web browser. Combine the power of SugarCRM's data management and reporting with the flexibility and cost benefits of RingCentral. Created with SugarCRM 's latest software updates in mind, RingCentral For Sugar® is compatible with Sugar 7 and 8. 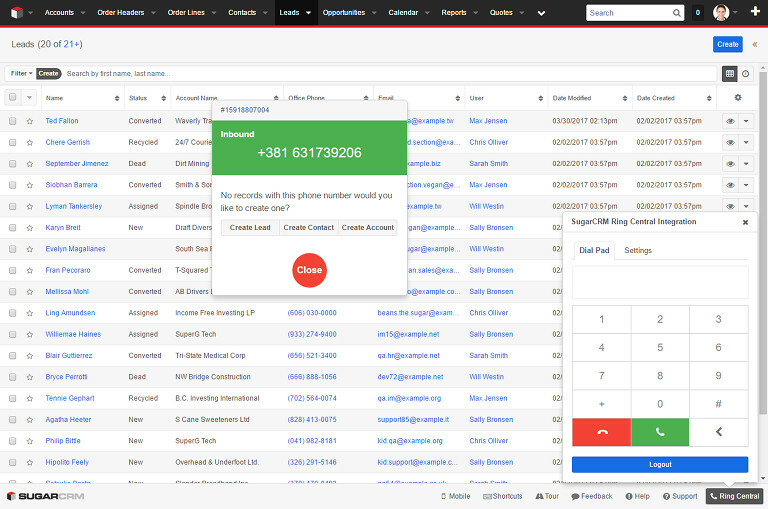 Simply click the phone number on a CRM record to start a call. Spend more time servicing your clients and less time dialing. 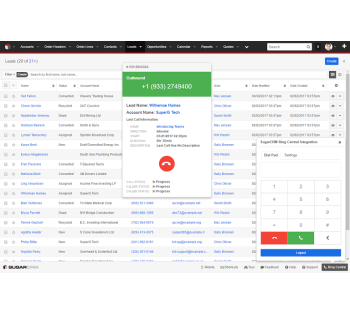 Inbound calls are automatically matched with existing CRM records, instantly providing vital details about the person on the other side of the line. Run reports on all calls to view phone activity for each CRM user.